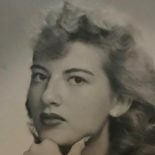 Louise “LuLu” Amorosano | Lloyd Maxcy & Sons Beauchamp Chapel, Inc.
Louise Amorosano, affectionately known as “LuLu” and a lifelong resident of New Rochelle, NY, passed away surrounded by her family and friends on April 11, 2019. Louise was born the youngest of three on April 13, 1933 to Marie (Columbo) and Daniel Garofalo. Louise was married for 57 years to the love of her life, her husband Cosmo Amorosano, who predeceased her on October 23, 2009. She was also predeceased by her two sisters Julia Giannotti and Marie Bottali. Louise is survived by her 3 children, Jo-Ann Santoro, Gina (Al) LePore, John (Angie) Amorosano; her 4 grandchildren Robert Brower, Richard Brower, Kelley LePore; Daina Louise (Michael) Haines, John, Jr. (Gayane) Amorosano; many nieces and nephews; and her sister- and brother-in-law Louise and Nicholas Vareltiz. Louise loved the beach, the Yankees, bingo, her numbers, and Mohegan Sun. In lieu of flowers, the family would be grateful for donations to Cavalry Hospital.